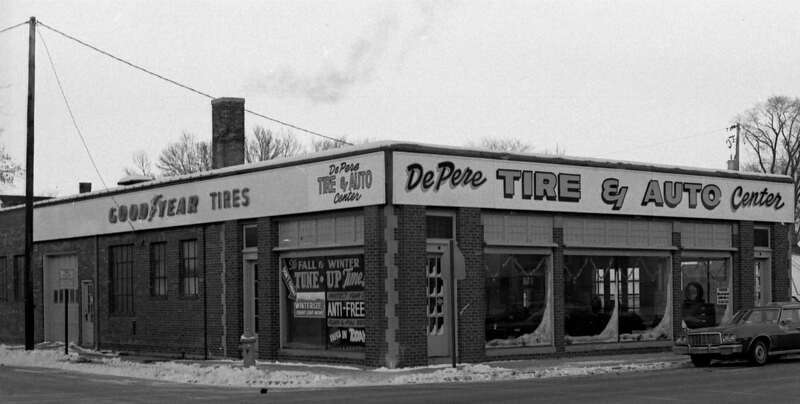 In 1976, De Pere Auto Center began as De Pere Tire & Auto Center under the ownership and direction of Larry Fisette. Since then we have built a solid reputation, providing our customers with attentive, full-service auto repair within the De Pere community. Our experienced repair shop is hands-down the best in the area. Thanks to our people, our customer service is even better. We know that our team members are at the heart of our success every single day. The expert staff at De Pere Auto Center is steadfastly devoted to providing you with the best automotive and customer service in the industry, no matter how big or small your need may be. The De Pere Auto Center has created a community of loyal customers through a history of consistent and dedicated service, and by doing our job the right way while saving our customers a lot of their own hard-earned money. We have built a strong, lasting brand based on our honest, up-front approach and our ability to cater to just about any automotive need; whether it’s complex mechanical or body repairs on both domestic and imported models, basic vehicle maintenance, or even finding the right car and the right financing to fit your budget. At De Pere Auto, we really can do it all. From keeping you on the road and moving forward in your current vehicle, to giving you the best value for your trade while putting you in the perfect pre-owned model with an easy, no-pressure approach to the car-buying process. That even includes the financing. Through our partnership with Marine Credit Union, we have the unique ability to offer you the best possible payment options to fit your specific needs. At De Pere Auto Center, we’ve got you covered. All you have to do is jump in and enjoy the ride. When it comes to a true full-service auto center, there’s De Pere Auto Center, then there’s everyone else. What sets us so far apart from the rest? That’s easy: our talented, expert team of ASE Certified Technicians and non-commissioned sales professionals love what they do, and they love working for you. Every model in our superior selection of quality pre-owned vehicles comes with a comprehensive certified inspection, CARFAX History Report, peace-of-mind warranty protection, and of course, ultra convenient financing from Marine Credit Union with the lowest rates and options to fit your individual needs. All of this adds up to the best service and buying experience, as well as fantastic savings from the price tag to the car payment. When it comes to you and your vehicle, our promise is and always has been excellence in service, and an honest, straightforward approach to doing business. Stop in and browse our wide selection of pre-owned vehicles and experience the De Pere Auto difference first hand. Avoid the hassle and frustration that usually comes with bouncing around town searching for the right car and the right financing. De Pere Auto Center takes away the need to go anywhere else. If you make us the first place you visit in your search for trustworthy automotive repair and sales, we’ll make sure that we’re the last place you visit. Good things await you at De Pere Auto Center.